Sikka Kaamna Greens is an eminent and one of the most stylish residential projects of Sikka Group. This superb residential project is located at sector-10, Noida that is an eco-friendly place to live life fresh and close to nature too. This brilliant housing project offers esthetically designed apartments in 2BHK, 3BHK, and 4BHK ranges. Each apartment is constructed brilliantly and possesses elegant finish from inside to outside. Moreover, the apartments have made specious enough for all small to large size family to live comfortably. Also, you can enjoy full ventilation in each apartment that will surely keep your fresh. Being a high-rising project, Sikka Kaamna Greens holds robust construction and has the best specifications such as 13 towers, 20 floors and more than 1600 units too. Apart from that, the project is spread over the huge space up to 12.50 acres and also has 70% open space. 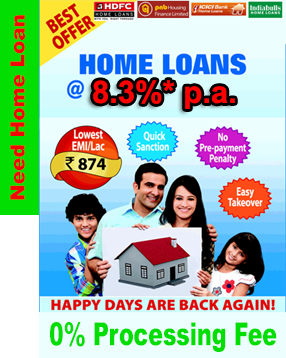 With these features, this residential project seems to be an ideal investment plan for home seekers in Delhi/NCR. Hence, you should not be late to book your unit in this world-class housing project of Sikka Group and make down payment of apartments as soon as possible. Sikka Kaamna Greens fascinates the home buyers through its exciting amenities such as car parking, gym, club house, power backup, lifts, fire fighting systems, kids’ play ground, intercom, and so on. Besides, the project site has some brilliant sports features too such as badminton court, tennis court, jogging track, table tennis, and many more. Thus, this residential project is a treat for sports lovers and offers many awesome sports options to enjoy. The location of Sikka Kaamna Greens is also lush and give easy connectivity with NH-24, DND flyover, FNG Expressway, etc. Moreover, the location is eco-friendly and is free from pollution as well. Besides, you will also find some more benefits at certain distance of the site such as hospital, college, school, bus stand, metro station, shopping complex and many more. Hence, this project is a brilliant choice for those who want to buy dream home in the heat of Noida City at reasonable prices. Home or residing abode is the ultimate happiness for a person. Irrespective of their budget, people always look for exotic and quality homes. For the home seekers who are looking forward in Delhi NCR regions and specifically for 2 BHK rooms, the Sikka Kaamna Greens is the perfect choice for them. The exotic project is coming out with the option of 2 BHK and with 2 bathrooms too. While you are residing here, you would definitely feel that each and every aspects of your apartment is crafted and projected according to your wish and likings. Sectors of Noida are very much good in terms of communication, and the place where the project of Sikka Kaamna Greens is located is very rich in all modes of communication. While you are living into the project, good and reputed schools and other educational places along with live saving hospitals are there for helping you in your crisis. Since, you are residing here, you will definitely get all the modern amenities and all facilities involved in elevating your lifestyle. Incessant water and electric supply and all other essential things are always working to make your stay comfortable and to realize that you have made a truly profitable investment. •	Close to the corporate offices, MNCs, shopping mall, metro station, etc.